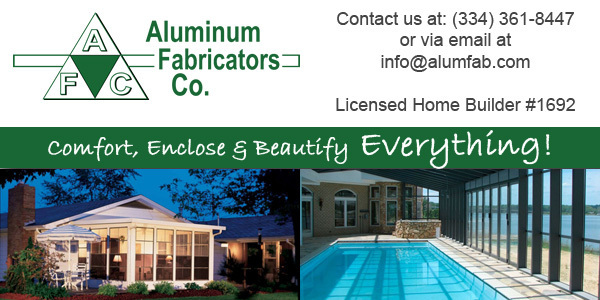 Thank you for choosing Aluminum Fabricators Co. serving the Prattville and Montgomery, AL area! Since 1979 Aluminum Fabricators has prided itself on being a premier provider of comfort, convenience and beauty to the homes of residents in the River Region. Please take the time to visit our website at http://www.alumfab.com or click on one of the links above to learn more about our company and how we may be of service to you.